EY, a global leader in assurance, tax, transaction and advisory services and CustomerXPs, a leading provider of real-time multi-channel enterprise fraud management products, today announced a new alliance to assist companies with the detection, prevention and management of fraudulent transactions and activities across multiple business lines within the banking industry. This strategic alliance brings the forensic expertise of EY’s Fraud Investigation and Dispute Services (FIDS) practice supplementing the cross-channel/cross-product fraud management solutions of CustomerXPs ‘Clari5 Enterprise Fraud Management’ to deliver optimum solutions to clients. This collaborative approach will equip banks with a real-time 360 degree view of their customers, employees, branches and external entities, using transactions and activities done across business lines and channels. 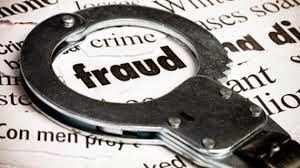 It will also mitigate risks related to fraud such as internal fraud, identity theft, account takeover, credit card fraud, fraudulent transactions around card not present (CNP), mass compromise etc. Mukul Shrivastava, Partner, Fraud Investigation & Dispute Services said, “Today, fraud risks are inescapable. The banking ecosystem too is faced with many challenges around this global hazard, making it germane to fortify their internal controls for enhanced efficiencies. The extensive domain knowledge and credentials of our forensic team, coupled with the technological prowess of CustomerXPs’ innovative solutions, gives us a unique edge to help banks safeguard their business. * Re-align their organization structure and refine internal processes and policies to be aligned with the enterprise level approach toward fraud management, while benchmarking the same with other global and Indian banks. “Fraudsters have been exploiting the potential lack of coordinated and timely response by banks to single channel or multi-channel fraud schemes. Traditional systems and frameworks were designed to address specific fraud risks, products or delivery channels. As the need to connect these silos becomes more relevant today, a more strategic and enterprise-wide approach is needed. This is where the combination of EY FIDS knowledge and experience along with CustomerXPs’ software solution will provide our clients a unique edge over fraudsters.” says Amit Jaju, Director – Forensic Technology & Discovery Services at EY. 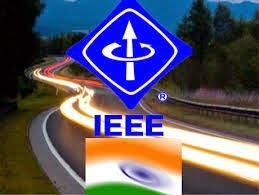 IEEE, in collaboration with the Indian Electrical & Electronics Manufactures’ Association (IEEMA), will co-host INTELECT, the conference and exposition on the efficient consumption of electricity from January 22 – 24, 2015 at the Bombay Exhibition Centre in Mumbai, India. 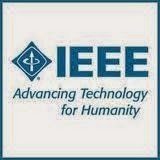 This event, which will focus on the integration of telecommunication and the design of energy networks, is being organized by the IEEE Power Energy Society, IEEE Computer Society and the IEEE Communications Society in association with IEEMA. Telecom and IT form the backbone of the future Smart Cities of India. Digital India is not a distant dream anymore, given the vivid roadmap laid down by the Ministry of Communications & Information Technology. IEEMA and IEEE are organizing INTELECT 2015, which aims to showcase the IT and relative infrastructure sectors for creating Smart Cities in the country. Today, India is one of the fastest growing telecom markets in the world. INTELECT is being launched when there is an unprecedented increase in tele-density and a sharp decline in tariffs in the Indian telecom sector, contributing significantly to the country’s economic growth. Besides contributing to about 3% of India’s GDP, Telecommunications, along with Information Technology, has greatly accelerated the growth of the economic and social sectors. Mphasis, a leading IT services provider, today announced its partnership with Aureus Analytics to bring advanced predictive analytics and big data solutions to insurance and banking players. Under the partnership, Aureus’ comprehensive big data and analytics capabilities will complement Mphasis’ established customer base in Insurance and Banking space thus creating a huge potential for value add to end customers. The new solutions will focus on Customer Management, Risk and Operations and boost efficiencies by rapidly unifying data, construct complex analytics and manage business critical issues to make the right decision. 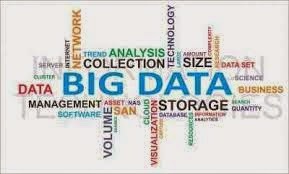 The problem specific products and Big Data-ready platform will support speedy insights at the point of decision by leveraging massive internal and external data sets. The banking and insurance industries are embarking on a multichannel customer experience transformation globally. The collaboration will allow tracking starting with Business Key Performance Indicators (KPIs) all the way to operational and Information Technology KPIs. By bringing analytics where they are needed the most, Mphasis, together with Aureus Analytics will help revolutionize the industry and deliver better service to customers and better results to companies. “Mphasis’ grip in the Indian insurance market is quite strong. Our strong reach coupled with Aureus’ innovative Big Data driven predictive analytics solutions will make outcome based business models a reality. With this partnership we look at driving a culture of data driven decision making because of timely availability of information to people who make decisions or interact with customers” says, Elango R Chief Human Resources Officer and Head Emerging Geographies Business Unit, Mphasis. Aureus Analytics has a Big Data-ready platform called Aureus Statistical Analytics Platform (ASAP) and a suite of industry and problem specific predictive analytics products - Aureus Persistency Analytics (AUPERA) and Aureus Customer Analytics (AUCUA). 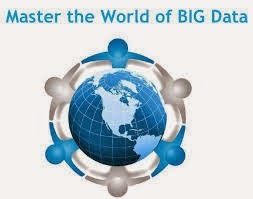 Its solutions bring power to the decision makers and practitioners by enabling analytics at the point of decision. Aureus Analytics bridges the interpretation gap between multi-dimensional data and actionable insights to help businesses leverage the power of its most important asset- their Data. Aureus brings together the four essential pillars that are required for a successful Big Data Analytics solution – Deep Domain Skills, Big Data Capabilities, Data Sciences skills and Analytics expertise. With Mphasis’ customer base spread across the globe, this partnership will deliver solutions that will catalyze quick decision making, reduce operational inefficiencies and boost bottom lines for all insurance players. 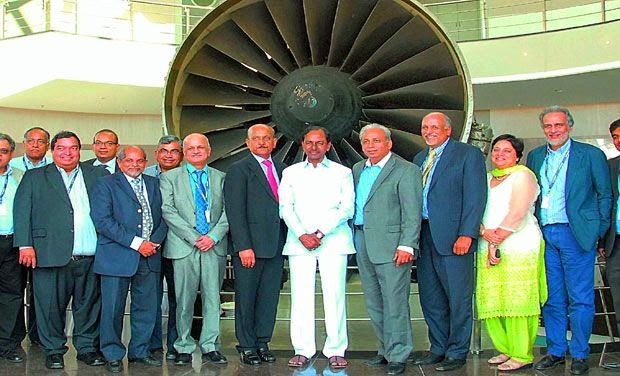 The National Association of Software and Services Companies (NASSCOM) has announced that the Government of Telangana and NASSCOM have jointly selected Hyderabad to host the World Congress on Information Technology (WCIT) in the year 2018. This is the first time that the prestigious global event will be held in India. WCIT will present a great opportunity to position Hyderabad as a global platform for trade and investments from organizations across the world. The WCIT will bring together world’s leading thought leaders, including business delegations from amongst the 80 countries that WITSA represents globally. The representatives include companies keen to do business in India, along with government functionaries and innovation driven academia. WCIT will additionally provide the State an ideal audience including global decision makers who would be participating at the event and making relevant trade and investment decisions. NASSCOM has also sought support from the government of India and we are hopeful that they will join hands with us in hosting this event. Hyderabad will showcase some of the important achievements in the field of technology, and infrastructure and the State’s openness and transparency of doing business on a global platform. Quantitatively, as seen from the key deliverables achieved from previous WCIT’s, a direct ramification for Hyderabad will be the ability to generate employment and millions of USD through direct business opportunities and investment decisions. The WCIT will also lay a huge focus on organizing B2B business events with business delegations from across the world. On the innovation front, this will help attract VC funding and provide support for innovation driven early stage technology companies in the state. WITSA is a consortium of over 80 ICT industry associations from economies around the world, representing more than 90 per cent of the international ICT market. WITSA is the global voice of the ICT industry and over the years NASSCOM has represented India at the WITSA. The WCIT 2018 will be an international high level congress that would bring together more than 50 exhibitors and up to 2,500 delegates from around 80 countries - such as Corporate leaders, Policymakers, Government officials and Academia Members to discuss emerging issues on ICTs, and address how legal, political, and economic trends affect business models.